Recently picked up a BR03-97 with a leather strap, and was interested in a steel bracelet, or a rubber bracelet with a stahl (I think) deployment. I've seen a B-I-019, which I'm not sure is available anymore (B&R live chat isn't that....live), and not sure about the mesh look one on the B&R website. Great forum, a decider in me going for the B&R over an Omega. Awesome that you've picked up a B&R over an Omega! From where I'm from, Singapore, I do not think I've seen it being sold anywhere (not that I went about looking for it). I did see it once in Hanoi a couple of months back though! Not sure if it is discontinued. Perhaps you could check with the boutique nearest to you? Didn’t realize they made a metal bracelet for them. Certainly would be a nicer option. 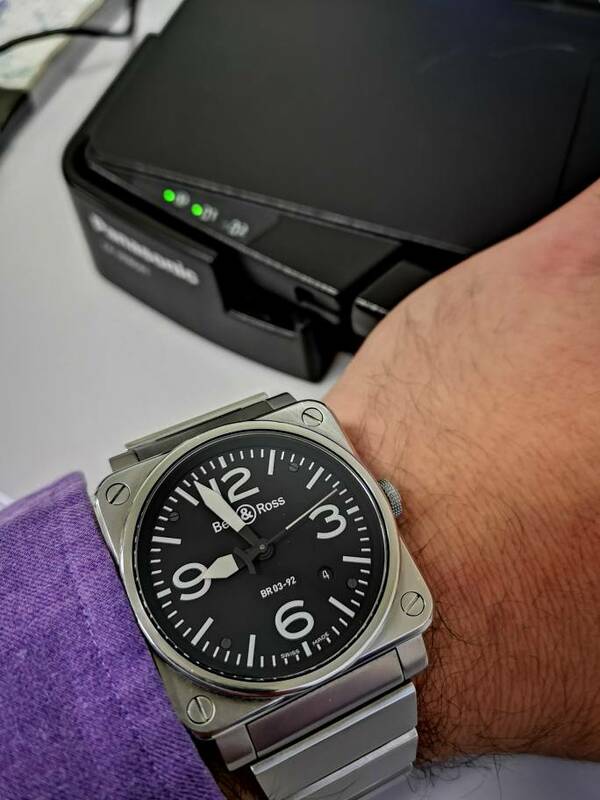 Aaron at Combat Straps makes some really nice straps for the Bell & Ross watches. His work is really outstanding and it makes the watch really pop. I did try a boutique, and they had one! And then they sold it And don't intend stocking anymore. I had a steel bracelet for my BR03-92. It was awesome. Have considered having these made and selling them. If your interested let me know I'll get you info on my source. looking for Anonimo metal bracelet ..